I use all four of these post schedulers, each solves a different problem. I called these post schedulers and not editorial calendars because only two of the four plugins actually have an editorial calendar, but they all work to schedule posts. This plugin fits the bill because the post calendar displays on the edit post page. As posts (i.e. jokes) are scheduled, the day on the calendar changes color. As we add additional jokes to the day, it changes color again, so that the color is a key to how many jokes are scheduled that day. 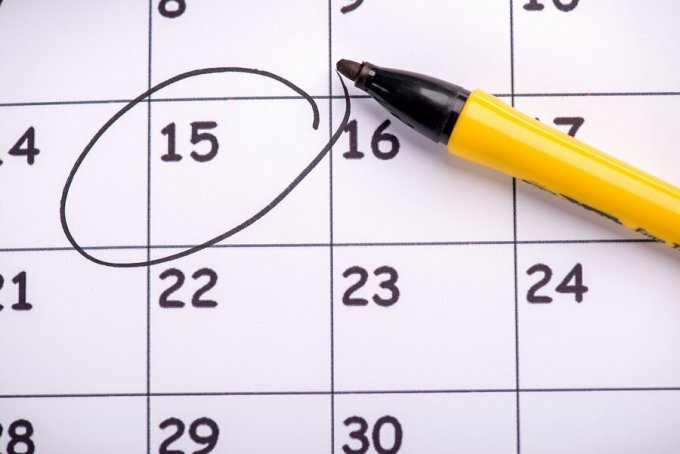 To schedule a joke, instead of using the WordPress dropdown calendar, just click on a date on the Future Posts Calendar. 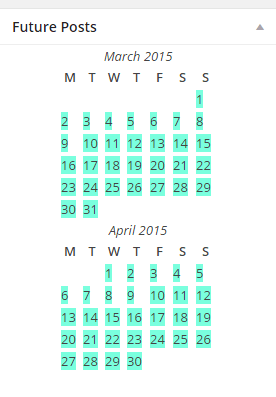 The color coding makes it easy to see which days don’t have enough jokes. 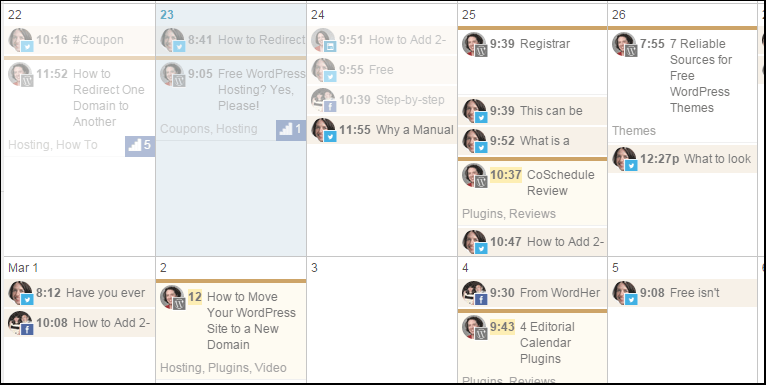 This plugin is actually an editorial calendar, where I can drag and drop posts (both scheduled and drafts) around a calendar that displays on its own page in my WordPress admin. This is for editorial control where it is important when posts are published because they are topical, or you have editorial needs. This may sound dreadfully obvious, but some sites (see my jokes example above) do NOT have or need an editorial calendar. This plugin solves another unique need. Some sites, such as my Light a Fire quotation site, do not have a steady stream of new daily content. New quotes are usually added in batches, but not every week. In order to keep the front page fresh with “new” quotes daily, I use Old Post Promoter to change the date of old quotes. I can set the exact parameters of which quotes qualify to be recycled. For example they need to 360 days old, and certain categories are excluded from the rotation. If you use the date in your permalink structure, this approach is not for you. If you need both editorial calendar control and an easy way to win at social media, then CoSchedule will rock your world. In addition to a drag-and-drop editorial calendar for posts, it also provides an easy interface to create and schedule social media posts on the very same editorial calendar. Here’s a more detailed CoSchedule review, or you can check it out yourself here. CoSchedule also provides a drag-and-drop calendar with all the same functions for creating and scheduling social media.